Today only, Amazon’s offering big discounts on a variety of PC parts and peripherals from Corsair. 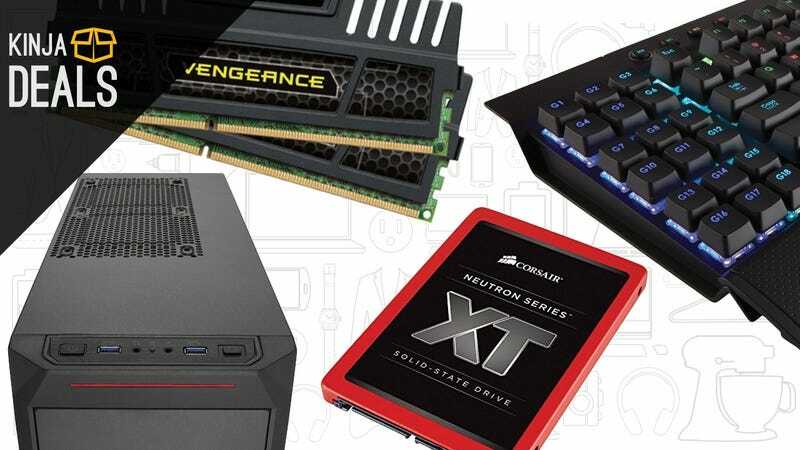 The deal doesn’t include everything you’d need to build a PC, but you’ll find cases, RAM, power supplies, an SSD, and more to get you started. And even if you’re not interested in upgrading the guts of your rig, you’ll find some great mechanical keyboards (including several from your favorite Corsair K series), mice, and other popular peripherals. Note: There are two pages of deals. The navigation buttons are at the top of the page, and easy to miss.